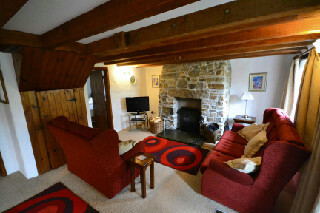 Five delightful Cornwall holiday cottages converted from 18th Century farm buildings, in quiet rural setting, sleep 2-5. £210 - £705 / week. 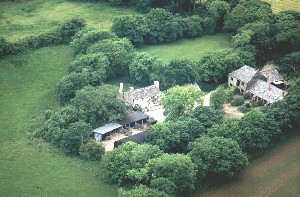 The Roundhouse, Beech, Ash, Pond Meadow and Little Leighs are 4 Star cottages converted from 18th Century farm buildings, standing at the end of a private tree lined drive, in a quiet rural setting. 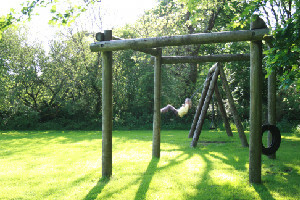 All cottages have small private gardens, and access to grounds of three acres with barbeque areas, children's playing field and a small copse. 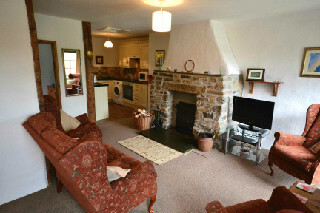 Relax and unwind in an olde worlde atmosphere, with beamed ceilings, open log fires for those colder evenings, and an abundance of slate and open stonework, whilst still benefiting from modern facilities, such as colour television, microwave, washing machine etc. 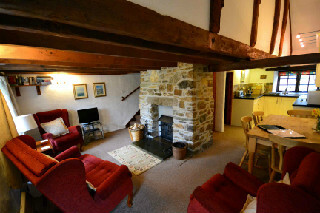 The cottages are an ideal touring base for the north Cornish and Devon coast, famous for its sandy beaches, rock pools, surfing and coastal walks. 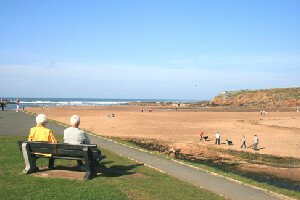 We are 2 miles from the A39, with Crackington Haven, Bude and Boscastle all nearby. A shop, garage and public house are three miles away, at Wainhouse Corner. Clovelly, the Eden Project, and Padstow are all within a 45-minute drive. Accommodation varies from two to five persons per cottage, with three cottages having a double and two twin rooms, Ash with a double and a twin and The Roundhouse with one twin/double bedroom.. We are open throughout the year. 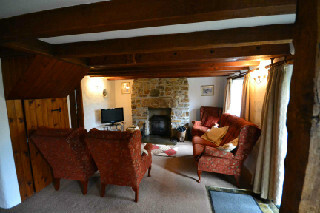 Short breaks available in the low season and at short notice subject to availability. Pets welcome in certain cottages. 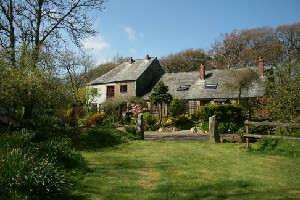 The cottages are in a quiet rural setting yet only 5 minutes to the A39 Atlantic Highway, which gives access to the whole of North Cornwall and Devon. 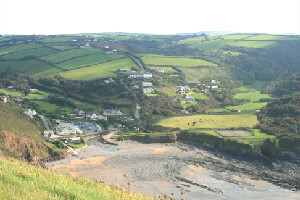 Crackington Haven, with the highest cliffs in Cornwall is less than a 10 minute drive and is ideal for rock pooling with the kids, or just taking it easy. 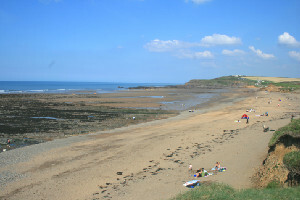 Widemouth Bay about 15 minutes away is a great spot for surfers and has a vast expanse of sand. 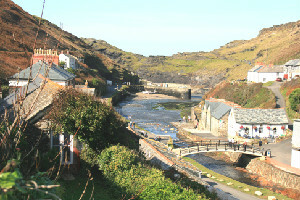 Boscastle is also about 15 minutes drive as is Bude. Tintagel, Launceston, the old capital of Cornwall, and Camelford are all reachable in about 20 minutes. At Camelford you can park the car and walk out to Rough Tor and Brown Willy, the highest point on Bodmin Moor. Favourites like Padstow and the Eden Project take about 50 minutes each, depending upon the traffic. Closer to home, Warbstow Iron Age hill fort, which overlooks the cottages, is a short walk along the lanes and across the fields. From January to Easter and October to Christmas (excluding school holidays) two people in any cottage at �210 for the week. 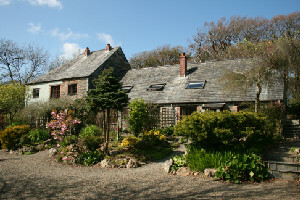 Short breaks available from �130 for three nights. Pets welcome in three of the cottages at a charge of �10 per stay.